These are the reviews for Tyn y Mynydd . There are 12 reviews. Not too easy to find! With specific reference to this property, one adult couple was unable to sleep on the futon in the family room. However, the problem was reported to Justin on Saturday morning and a new mattress was delivered on Sunday, which was gratefully received. So thanks for that. With regard to rubbish, some information would have been helpful about recycling. We found the box but it didn't hold very much and we ended up bringing a large bag home with us for recycling . Most people would not bother! Also some very smelly rubbish had been left in the black bin! Apart from that we had a lovely time and the cottage was great for children and well located. We had an amazing time. A beautiful property and surroundings which was perfect for the children with the animals and space at the back. Thanks for having us. A really spacious, well maintained, very clean and well stocked property. The location and access was excellent. The accommodation was great. Anglesey was wonderful. So was the hill above the cottage for strolling up after dinner to watch the sunset. The DVD collection in the cottage was superb. The linear layout of the cottage was great for keeping the children's and baby's sleeping areas quiet in the evening. The separate playroom with TV and excellent toy collection was brilliant for the children. The local Indian Takeaway in Benllech was fabulous. The weather was amazing. The beaches were great. Lovely accommodation, sited very handily for visiting the island. Nice to have separate rooms for the adults and children, nice big kitchen and comfortable beds. Good sized space with decking outside - thoroughly recommend a visit! The location and size of the property was magnificent. Anglesey itself was beautiful with amazing beaches. A fabulous 3 generation family holiday. Child friendly, lovely area and beaches close by. A perfect place for a family to chill out. A beautiful location half way up the highest point on the island. 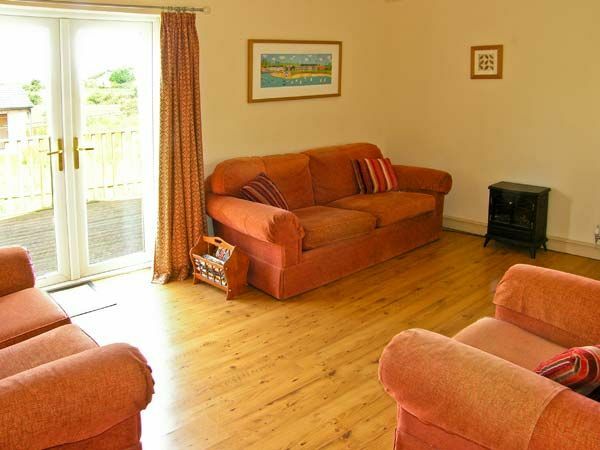 Excellent walks from the front door and good beaches within a few minutes drive. A very well equipped cottage. Very clean on arrival, Ideal for a family group with children. Hope to return! If you're looking for other cottages around Tyn y Mynydd , we've got some cottages below which may take your liking. 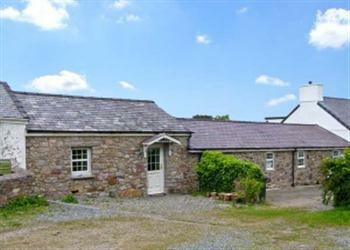 There are 56 cottages within 5 miles of Tyn y Mynydd - and they have reviews too.